It has been almost two weeks since I arrived in China. This is my third visit to this country and this time I am truly going to learn the language. As I mentioned before this blog will turn into more of a food blog and less about cheese. At least until I go back to a country that has a substantial cheese culture. But for now a small post on Chinese Cheese. Many times people ask me, why do Chinese don't eat cheese. The most common explanation is that there is no milk-drinking culture in most Asian countries and therefore people here are lactose intolerant. However, that explanation is incomplete, not only because there is a growing milk-drinking culture and has there been one for at least a decade, but also because most semi-aged and aged cheese have very small amounts of lactose. More important, I think is the lack of a culture that supports eating cheese. For the most part, Chinese food includes either rice or noodles as the staple and then sauce, meat, vegetables and other things are served on the side to make a full meal. If you think about it, cheese is not something that we eat just on the side as an add on flavor. Even when melted, cheese is a big part of the meal not just and added flavor. This translates in a culture with no cheese eating habit and obviously not a cheese making culture to sustain it. Still, globalization is quickly changing all that. More and more, middle class Chinese families try to emulate the eating, drinking and consumer habits of the US and Europe. This has translated in more super markets and American fast food chains opening in China than any other market in the world, but also into new products being commercialized for Chinese consumption. Among them are wines, liquors, sodas, chocolates and slowly cheese. Unfortunately the cheese being commercialized are not small artisanal cheeses, but rather commercial cheese foods that are emulsified with flour, oil, and whey to make cheese spreads or slices. So far I have not seen in any supermarket any non-commercial cheese and obviously the local markets do not carry it either. What the markets do have is a large variety of tofu, which I hope to try and cook. Nevertheless, with globalization also comes different ventures and there are currently at least two places that are starting to makes cheese in a more "traditional" style in China. I still haven't tried them, but here are links to find them. If you know of any other or have tried them please let me know. I hope I will try them both soon and have a full review of them. Also a group of ex-pats in China are trying to introduce cheese and wine into the Chinese market. Here are two links to two societies that are interesting. I also haven't been able to contact them, but in time I hope I could see what they are all about. Finally, I would like to talk about about cheese from the "other" side of the world. Let me start with my six hour trip to Amsterdam. In my way to China, my flight from Boston to Detroit to Shanghai got cancelled and in order to leave the US in time to beat the upcoming snow storms, I was put in a Boston-Amsterdam-Shanghai flight. This brief but enlightening trip to The Netherlands, corroborated my worries about cheese in Europe. As you may remember, during my trip to Paris a couple of weeks ago, I was discouraged by the amount of commercial cheese in supermarkets. This was the same situation in Amsterdam. All the places I went had, yes "dutch" cheese, but still all pre-packed and all were more than just rennet, milk and salt. Everything had a chemical additive. I'm sure it has to do with the places I visited and this is the same everywhere, but to think that the consumers in theses markets in places like France, England and The Netherlands with real cheese cultures would settle for commercial cheese is really sad. In any case, to end on a positive note, I leave you with two of the latest post from David Labovitz who recently visit two Comte cheese facilities in the Jura region of France and in his writing you can totally sense the cheese culture when the cheese makers go back to eat breakfast. Comte posts from David Lebovitz on Making and Ripening. Lactography is again on the field. Yes, we are teaching about artisanal Mexican cheese at this event. The event is a three weekend affair and we have cheeses from Chiapas, Queretaro and Chihuahua. Apart from the educational program, in which we teach people how to taste, eat, cook and pair cheese, we are also selling some of the cheeses and providing information about the cheesemakers. We are looking to raise awareness about the need to support local makers and seeking funds to help cheesemakers purchase new vats and tables for their facilities. We will have pictures on our new facebook page. 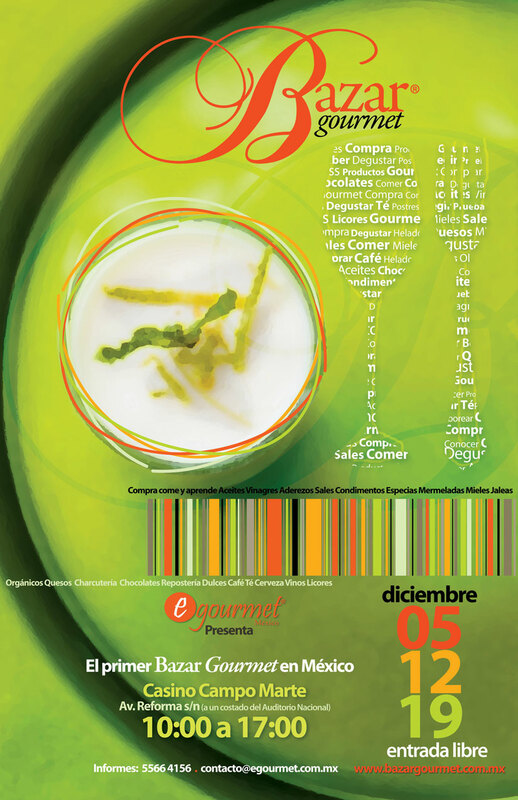 If you are in Mexico, please visit our stand and learn more about the awesome cheese produced in Mexico.